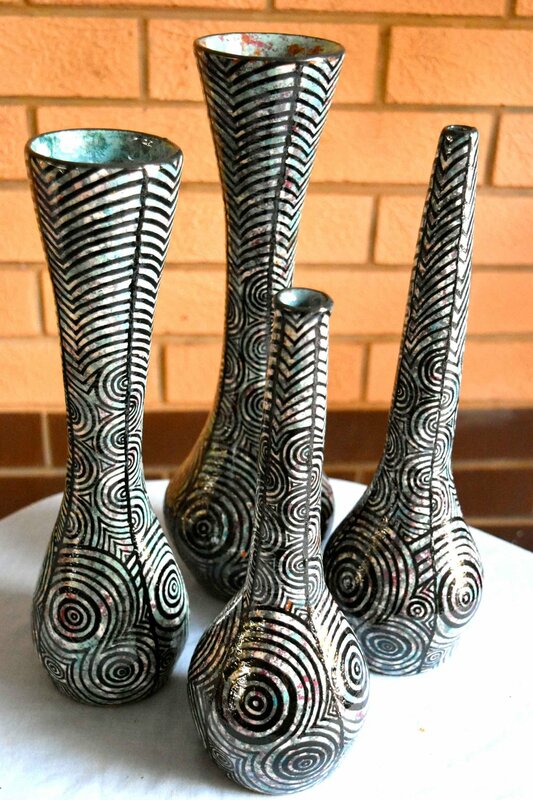 Congratulations to Lyn for winning the 2017 Campbelltown Art Prize in two categories - Aboriginal and Torres Strait Islander Peoples Art and 1st Prize Wheel Formed Ceramics/ Pottery. The Campbelltown Art Show is running from May 20-28, 2017. Find out more about it here. Lyn sold her painting, Red Earth Goannas, right away on launch night. Go Lyn!